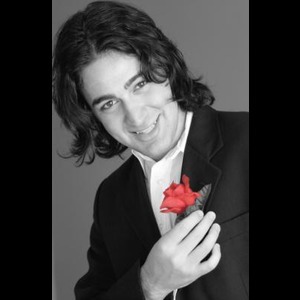 Mike D'Urzo is an international award winning speaker, magician and mentalist. As the founder and creative director of Mega Magic, he performs in hundreds of shows annually for some of the largest corporations, theme parks and television networks across North America. Mike was the winner of the 2012, 2013, 2014 & 2015 “Performer of the Year” award presented by Festivals & Events Ontario. He was the winner of the 2014 “Canadian Entertainer of the Year” award by the Canadian Events Industry Awards. He was awarded in the "Top 10 Magicians Worldwide" by the Wedding Industry Experts Awards and the 2015 Reader's Choice Awards for "Favourite Entertainer" by Canadian Special Events. He was also named in the top 5 magicians in Toronto by BLOG TO. Mike is a member of the prestigious Canadian Association of Magicians and the International Brotherhood of Magicians. As a motivational speaker, Mike has performed for numerous school boards, colleges & universities, and leadership conferences for top fortune 500 companies. His team building workshops have also been featured around the world at international sales meetings, trade shows and conferences. As a professional magician, Mike adds an element of "magic" to his presentations that help get his key points across in a fun and entertaining way. Every presentation is unique and will be customized to fit with the theme of your event. His unique style of magic and a modernized approach have made him a popular form of entertainment at virtually every type of event. He performed in an international tour across China for over half a million people! His magic has been featured across Canada on the Comedy Network, Global, CTV, City TV, OMNI TV, YTV, the W Network, MTV, Rogers Television and Fuse TV in the United States. He appeared on “Canada's got Talent” on City TV and placed in the top 2 % of all acts across Canada. He was voted as the “Season Champion” on the hit TV show “Keys to the VIP” from viewers across the country. He was awarded a trip to Las Vegas where he had the chance to perform and meet some the world's greatest magicians. 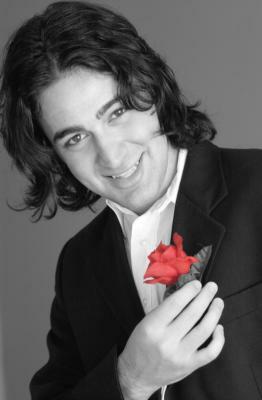 His magic was also featured on YTV's hit show “Zoink'd” and “Come Dine with Me” on the W Network. He appeared on Breakfast Television and the Morning Show on Global TV as the feature magician promoting the film, “The Incredible Burt Wonderstone” released by Warner Bros. Mike was the feature act at the Canadian National Exhibition on the Variety Stage. He was also the headliner at the Mount Forest Fireworks Festival- a show for over 10,000 people! He has also performed for various events including the Rogers Cup, New Year's in Labrador City and numerous national corporate conferences & galas across Canada and the United States. He currently has a headline show at Falls Avenue Resort in Casino Niagara with nightly sold out shows of over 1000 guests! His full production theatre show “Mind Kontrol” premiered in Toronto and has attained great success over the years. The show was created to put twists on the classics of magic and has been featured at some of the most prestigious theatres & events across the country. The show was taken to new levels with Z103.5 FM coming on board as the official sponsor along with NOW Magazine. Mike did a great job at our conference. 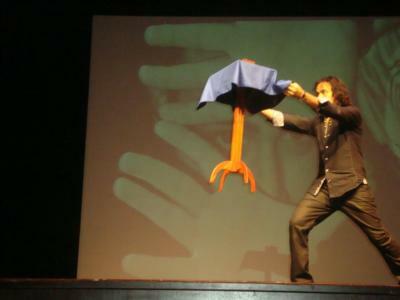 The strolling magic over lunch was a hit, His Mind Kontrol show was well received at the end of our conference. The audience participation made the show even better. I would recommend Mike D'Urzo to anyone looking for entertainment at their events. We LOVED Mike D'Urzo! He was entertaining, gave us just what we needed and more! We would not hesitate to recommend Mike to anyone! He was superb! Mike was awesome!!! We hired him for a social evening at our sales meeting. He entertained 60+ people for over 3 hours! Everyone loved him...he was funny and engaging. I would recommend him to anyone! Please note Mike D'Urzo will also travel to Oakwood, Downsview, North York, Weston, Willowdale, Etobicoke, Fisherville, Thornhill, Concord, Scarborough, Woodbridge, Maple, Richmond Hill, Markham, Mississauga, Kleinburg, Locust Hill, Brampton, Gormley, Springbrook, Whitevale, King City, Oakville, Pickering, Ajax, Nobleton, Stouffville, Bolton, Brougham, Hornby.